When Should A Child Take on the Responsibility of Self-Care of Anaphylaxis? If you have a child with food allergies, when do you know that they are old enough to carry and self-administer their adrenaline? There are no guidelines for what age a child should begin to take over the responsibility. By 9 – 11 years old, children should be able to describe some anaphylaxis symptoms, recognise the need for administration of adrenaline, and demonstrate how to administer the adrenaline using a trainer pen. By 12 -14 years old, children should begin carrying their adrenaline pen, taking responsibility for learning to self-inject adrenaline and should begin to self-inject their adrenaline pen when needed. The presence of the co-morbidity such as developmental delay, ADHD, autism spectrum disorder or depression. The same researchers also conducted a study of the caregivers to children who have serious allergies. The survey was conducted at an allergy conference. They were asked the same questions as the allergists. Children should be able to describe some anaphylaxis symptoms before they are 6 years old. By 6 – 8 years old, children should be able to recognise when they need adrenaline, they should be able to demonstrate the use of their adrenaline pen with a trainer pen, and they should begin carrying an adrenaline pen. By 9 – 11 years old, children should be able to take responsibility for learning to self-inject adrenaline, use a live injector to inject into an orange and be able to self-inject adrenaline. 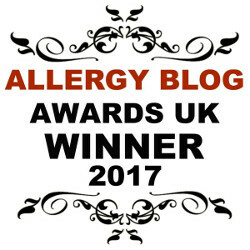 The researchers suggest that the lower age ranges given by the caregivers than the allergists could be due to their personal experience with anaphylaxis, their high education levels and motivation to attend conferences to learn about anaphylaxis, and their high expectations about their child’s ability to recognise and self-treat anaphylaxis. Uncertainty about the levels of assistance and support given in schools and in the community may also cause them to want their child to become competent in recognising and treating their anaphylaxis. Shifting responsibility from caregiver to child should be a gradual process. Ideally the process should begin around 6 years of age with simple education, by the age of 10 -11 years, it can evolve to self-carrying and eventually evolve to giving the child permission to self-treat by 12-13 years. It’s recommended that the process be completed by the teen years when multiple studies show higher risk of non-compliance, greater risk taking behaviours and therefore greater risk of severe and fatal anaphylaxis. If you think your child might be ready to take on more responsibility, keep in mind the factors listed above. If your child is uncomfortable carrying or using the pen, is unable to recognise their symptoms or demonstrate how to use the pen correctly, or if they suffer from any developmental delays, ADHD, autism spectrum disorder or depression it might be too early for them to take on the responsibility. It’s important to discuss with your child and with your child’s doctor if you think your child is ready to take on the responsibility. Should Siblings of Food Allergic Children be Allergy Tested?